When I was a kid, my favorite Christmas presents were often LEGO sets. Now that I’m a grown man, well, that hasn’t really changed. 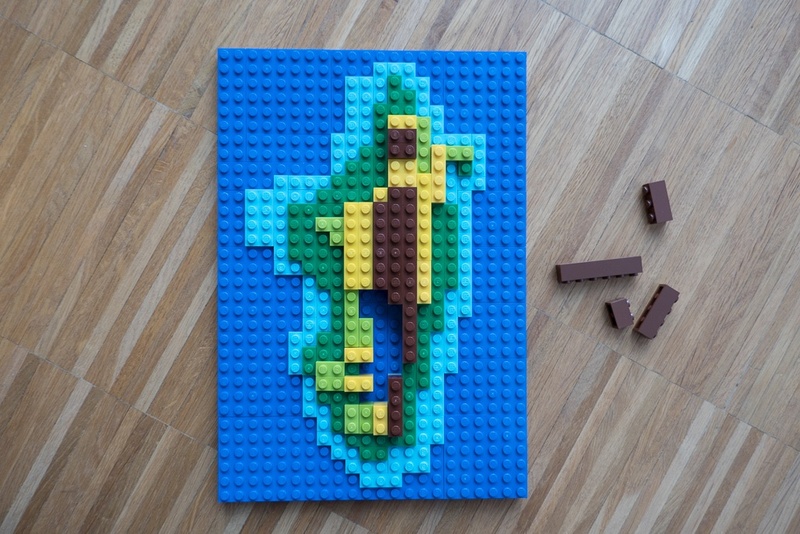 With the holidays just behind us, I thought why not ease into the new year with a combination of two of my favorite things: maps and LEGO bricks! 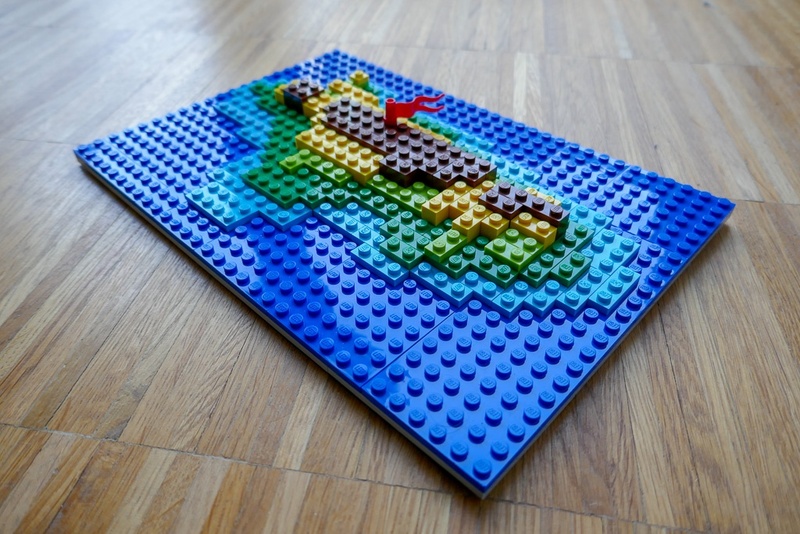 If we want to build a map with bricks, we must first decide which kind of map. 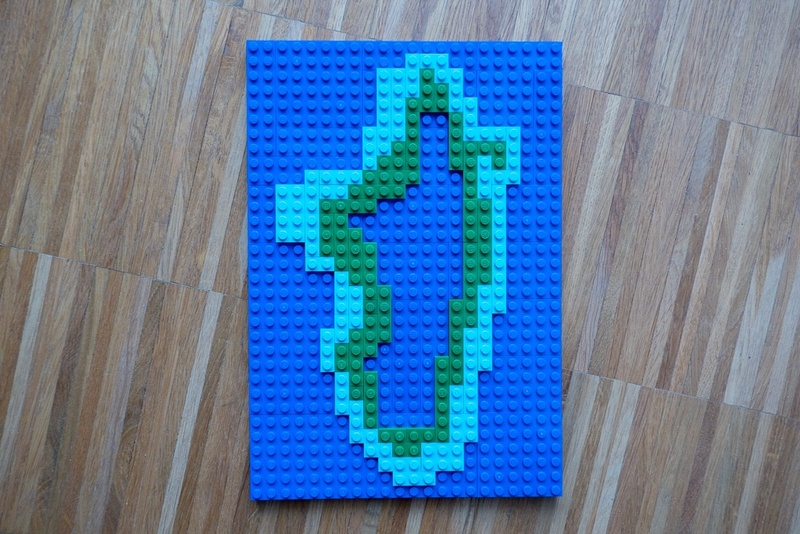 I went with a topographic map, mostly because LEGO bricks are three-dimensional by nature. It’s also colorful and easy to build at the right scale with bricks. Second, we must decide what our map is supposed to show. I’ve gone with a place that I’ve always wanted to visit, the island of Madagascar. All right, now that we’ve decided what to build, we need to get out the bricks. 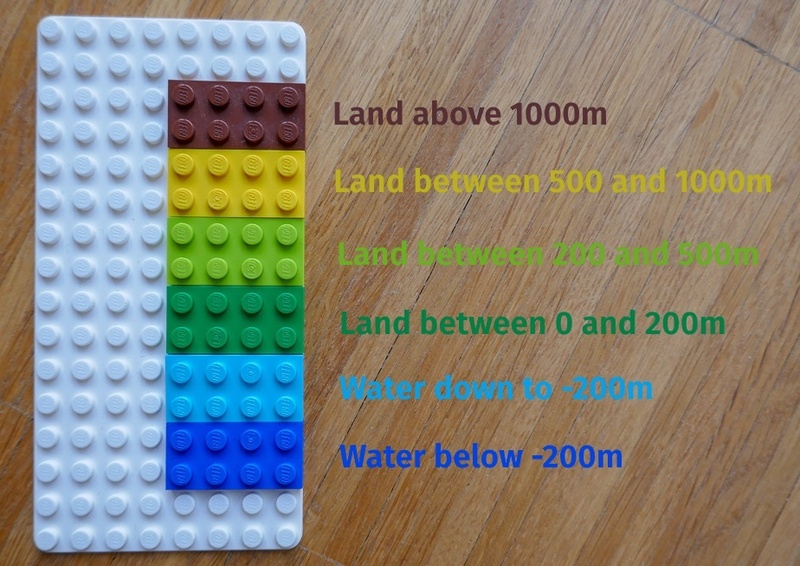 Topographic maps usually show the different heights of the terrain using distinct colors, so we need to decide which LEGO brick colors to associate with each height. I’ve gone with the following palette, using Bright Blue, Medium Azur, Dark Green, Bright Yellowish Green, Bright Yellow and Dark Brown. We mostly need small plates, but some bricks can also be helpful, particularly in yellow and brown. 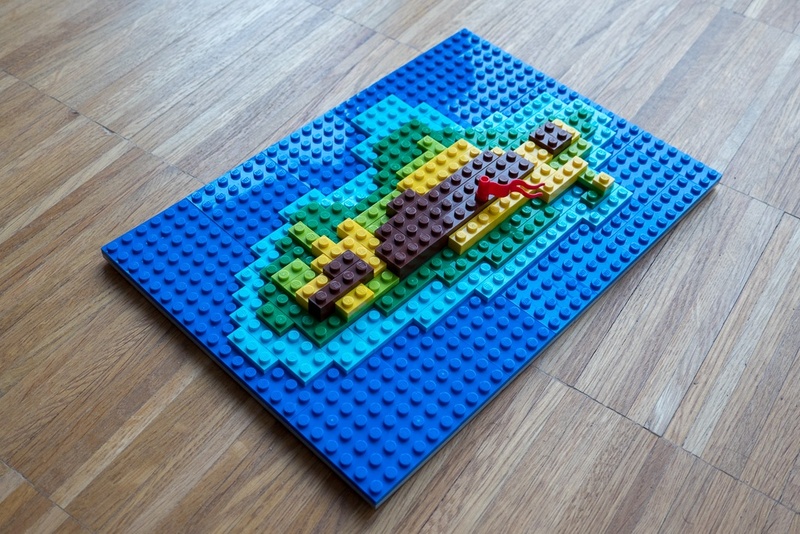 Let’s start by creating the deep ocean and build a flat surface in Bright Blue. 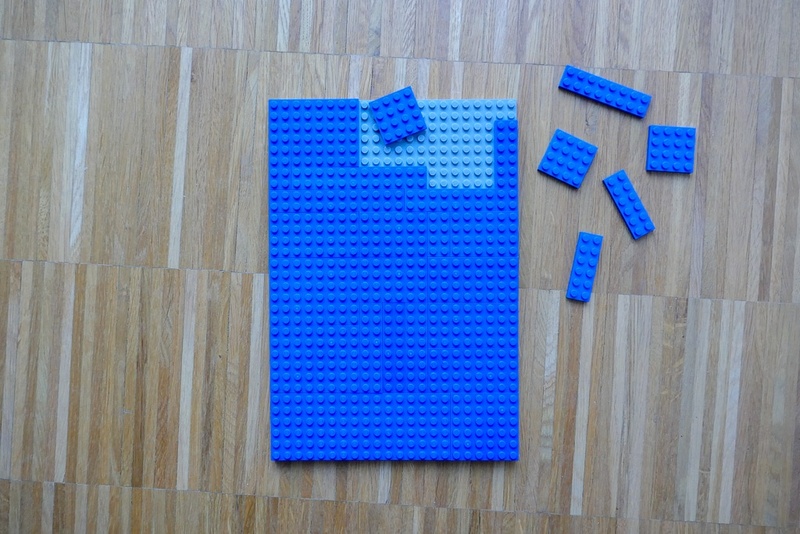 If have a large enough baseplate in the proper color, you’re already good to go, but I needed to use a whole bunch of smaller blue plates. A gray baseplate is holding them together. Once we’ve got the outline done, we need to build the shallower water around the island in Medium Azur. Since we’re building a three-dimensional map, we want the Medium Azur water to be higher than the Bright Blue water and the Dark Green land to be higher than the Medium Azur water. The first we’ve already achieved, but we need to add another layer of Dark Green on top of what we've previously built. We also start adding some Bright Yellowish Green to indicate even higher areas. We can then start putting in yellow and brown bricks to create the mountainous areas on the island. We may need to add some plates underneath the bricks to make sure they are high enough. 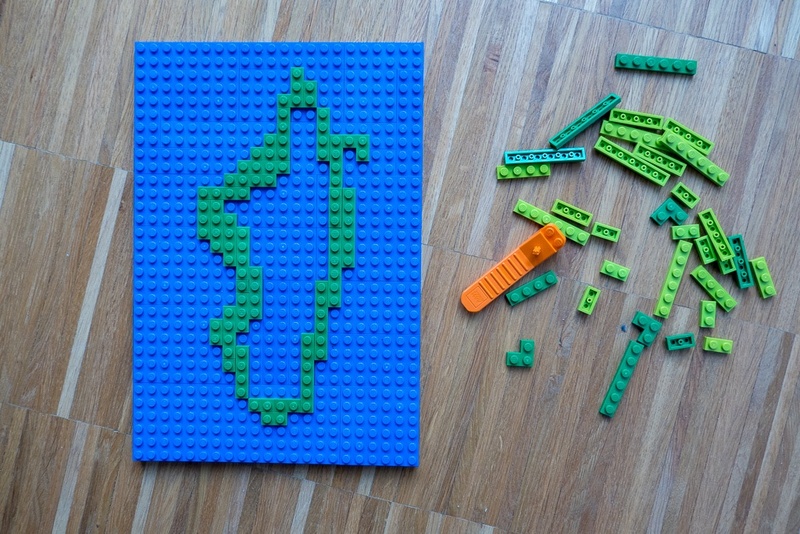 Finally, we add some finishing touches and a little flag to indicate the country’s capital city, Antananarivo. 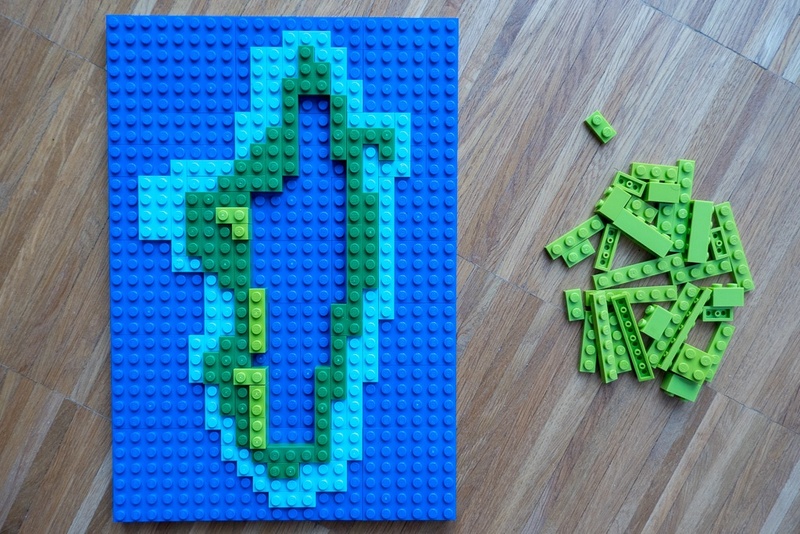 There we go, our own little map made of LEGO bricks! Happy new year! May it be filled with all things maps and LEGO.